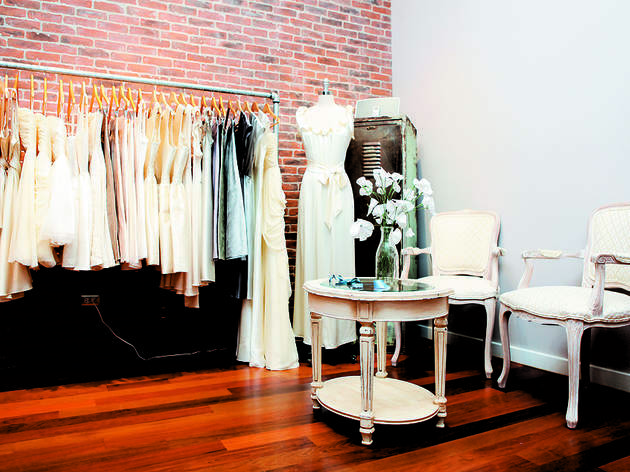 Roslyn boutique gets a new shop-in-shop with its bridal salon. 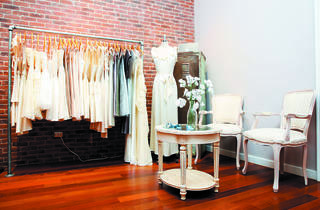 Photograph: Allison WilliamsA view of the bridal area at Roslyn Bridal Boutique on Damen Avenue. 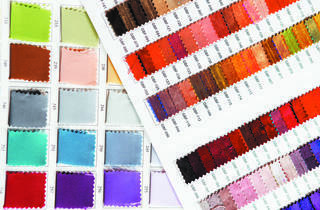 Photograph: Allison WilliamsThe rack eschews the only-white stereotype for bridal attire and shows a folder of color swatches. 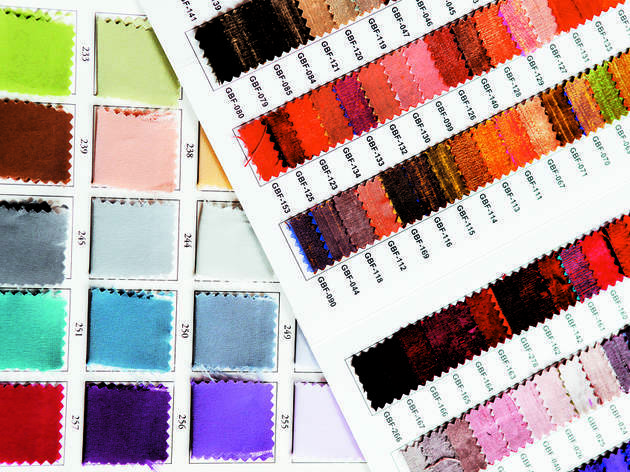 About half the styles of dresses, as well as the raw silk wrap skirt, are available in anywhere from a few to literally hundreds of colors. 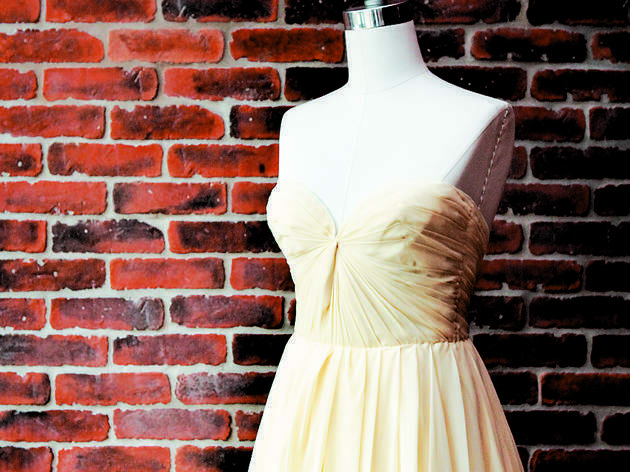 Photograph: Allison WilliamsThis gathered strapless gown ($550) is by Sarah Seven, a line available only at Roslyn in the Midwest. 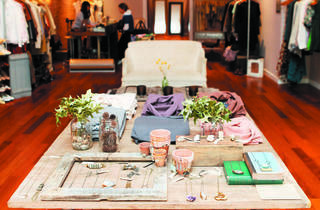 Photograph: Allison WilliamsWhile Clayton will keep the salon pretty basic, she has plans to supplement the shop-in-shop with events.Wedding bands by Canadian designer Jennifer Sheridan are on display in the jewelry case in brass casts, available in a range of metals and widths. A delicate band for ladies starts as low as $100. Photograph: Allison WilliamsRoslyn Bridal Boutique owner Rosie Clayton in her clothing store on Damen Avenue. 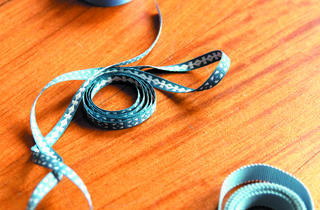 Photograph: Allison WilliamsBrides can choose from a selection of blue ribbons and have a snip sewn to the inside of their dress or tied to their bouquet. If there’s anything obvious about Roslyn owner Rosie Clayton, it’s her penchant for simplicity. Five years since opening her namesake Bucktown boutique, the just-married shop owner channeled her own challenging experience of finding the right wedding dress as inspiration for the new addition to the shop. 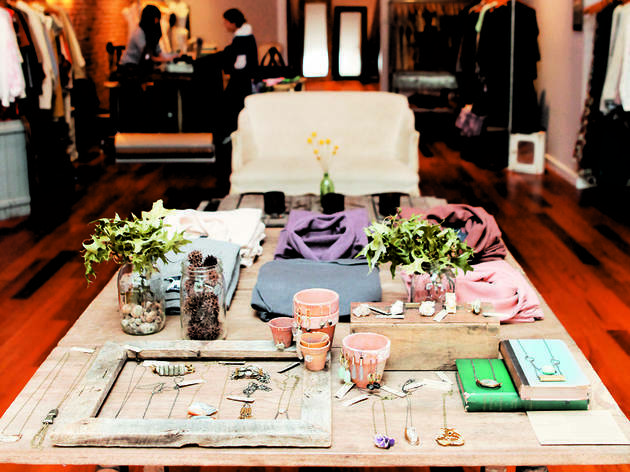 Tucked in the back corner, a single rack showcases about six styles by four lines: Elise Bergman, Sarah Seven, Sir and Suite by former Project Runway contestant Jennifer Diederich. Far from fussy, they’re feminine classic dresses in fabrics such as silk, jersey and hemp. Brides-to-be can keep it simple and order off the rack—making adjustments to the color, fabric, dress length and even details about the silhouette. 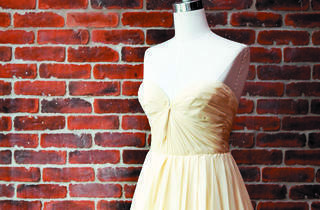 Off-the-rack starts at $225, and dresses ordered in bunches of six or more for bridesmaids are priced at a discount. The transition to bridal was a smooth one: Not only did plenty of women come to the shop and happen upon occasion dresses suitable for casual weddings, but Bergman, who sells her ready-to-wear line at the store, already had her own bridal line. 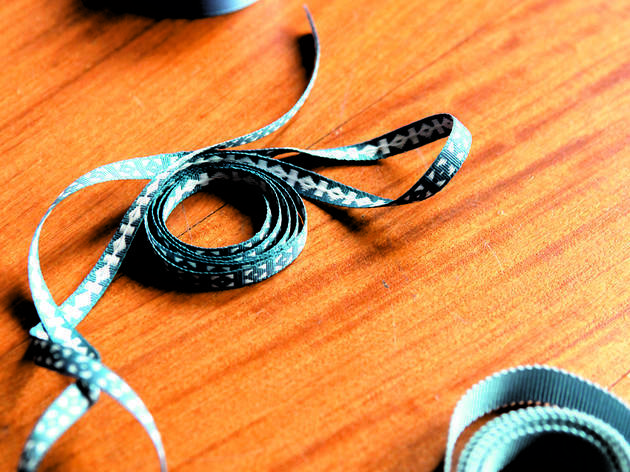 Now with the bridal salon, Bergman is on hand to design custom gowns. Visit Roslyn Bridal Salon at 2035 N Damen Ave (773-489-1311).